For those of you who don't know, Aidan is an 'Eavy Metal painter at GW, but this mini was actually done as a personal project by him. This fantastic Orruk took third place in the Open Category at the Golden Demon this year, and it's much deserved. 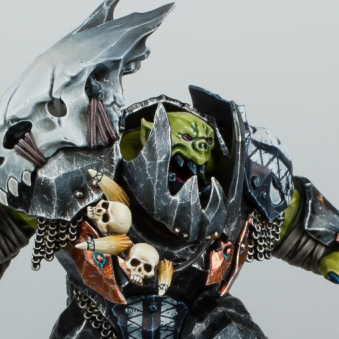 This is everything you would expect from an 'Eavy Metal painted mini, smooth, bright and bold colors, intricate detail, general awesomeness. I really love how bright and rich the green of the skin is. It really makes it pop from the black armor. When you zoom in on the armor you see all of the micro scratches that have been painted on. It's great and really makes him look weathered without just looking dirty. The armor also still looks black despite all of the highlights on it. The bronze is really cool for how much it pops from the black. I don't know if he added in more red to the color, but I really like the way it contrasts with the skin, and it also has the same crazy amount of micro scratches on it. The white tribal markings are also rather cool and remind me of what the do with the Space Sharks in 40k. 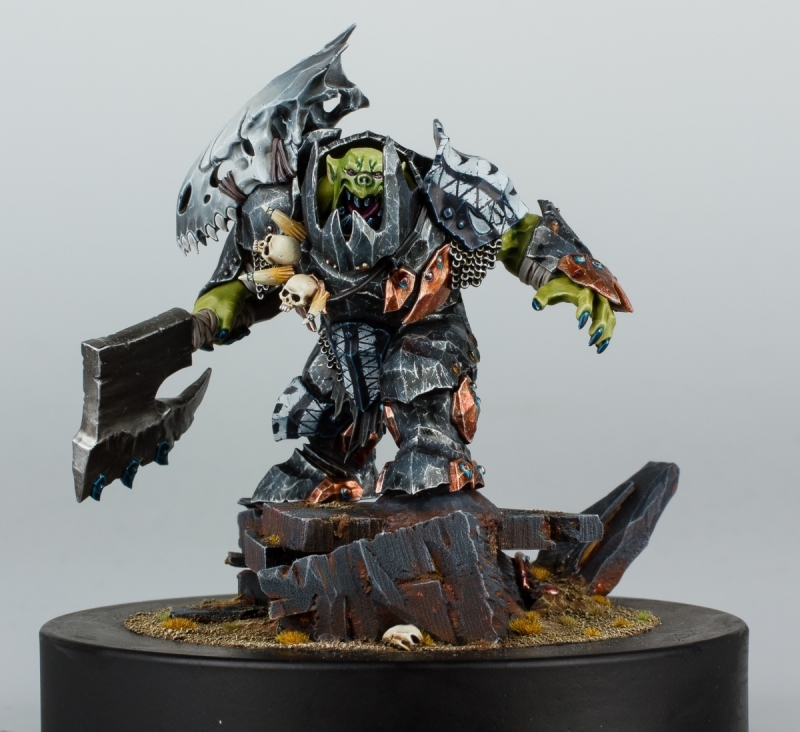 It gives the mini a nice amount of freehand in a style appropriate for Orruks without overpowering the rest of the paint job.